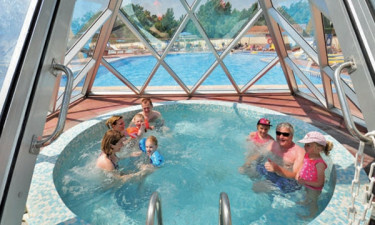 Offering 200 pitches and found within the amazing Vendée region of western France, Camping Bel is a luxury camping site ideally suited for the entire family. To learn more in regards to what this camping holiday can provide, it is always recommended to contact a representative from LUX-camp. Why Should I choose this Camping Site? Pitches located only 300 metres from the beach. Quality mobile homes to enjoy. Only a short distance from a massive aquatic centre known as Aunisceane. An availability from May until the end of September. Although luxury camping is all about relaxation, there are undoubtedly those who still wish to enjoy a bit of physical activity during their stay. This holiday camping site provides a number of different options. A large fitness centre will enable visitors to keep in shape after a hearty meal. Family-friendly options include badminton, ping pong and a large gaming room. There is additionally a play area for small children; perfect to provide parents with a bit of a break. This location is able to offer all of its guests only the most modern of conveniences during their stay. Some of these will include wireless Internet, dedicated access to water supplies, separate power to each pitch and a fully equipped laundrette. Those who have been searching for nothing but the best in terms of a camping adventure will not be disappointed with what Bel has in store. Another beneficial feature of this holiday camping site is that it is found within an extremely agreeable climate. Thanks to its proximity to the Atlantic Ocean, onshore winds will provide a welcome sense of refreshment during hot summer days. This is a great option for those who may be looking to avoid the blistering heat of southerly locations throughout Europe and Italy. Whether one chooses to arrive in May or in the middle of September, the weather here is nearly always outstanding. 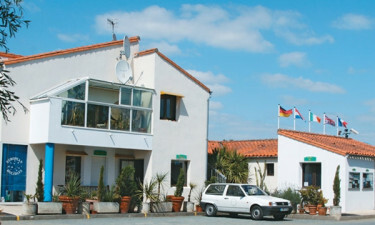 As mentioned earlier, this luxury camping resort is found within only a few hundred metres from the Atlantic coast. Not only are spectacular views guaranteed, but the serene nature of these stretches of sand make a perfect getaway for couples, families and friends. 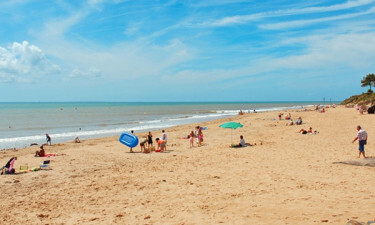 Why not enjoy a picnic on the beach or a dip in the water during the warmer months of the year? While there are a a handful of locations to enjoy traditional dishes from the Vendée region of France, this luxury camping site provides a number of options within its confines. There is a takeaway menu for those who wish to enjoy a private meal within their mobile home. A bar is likewise able to serve up a number of regional drinks and tempting wines. International lagers and a choice of cocktails are also possible.